The Pines! This stately four bedroom home offers gracious main level living with additional bedrooms on the 2nd floor. 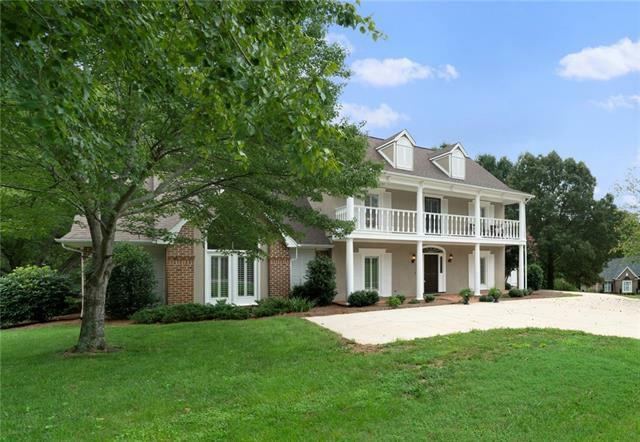 The welcoming front porch leads into a two-story foyer with stairway and adjoining formal dining room. The huge living room offers a wood-burning fireplace and doors to the rear terrace. A spacious kitchen offers plenty of cabinet & counter space, plus a center island, breakfast area, and adjoining den and exit to the double garage. The huge master suite offers a private office area and a remodeled bathroom with his/hers vanities and his/hers walk-in closets. Upstairs, you'll find three bedrooms sharing a hall bathroom and an exit to the upper level porch. Recent updates include all new carpeting, all new paint, new lighting, new cabinet hardware, new security system, remodeled half bath, new door hardware, and new fireplace surround. This one is totally move-in ready! Convenient location near downtown Hickory, Oakwood Elementary, highway access, shopping & dining!